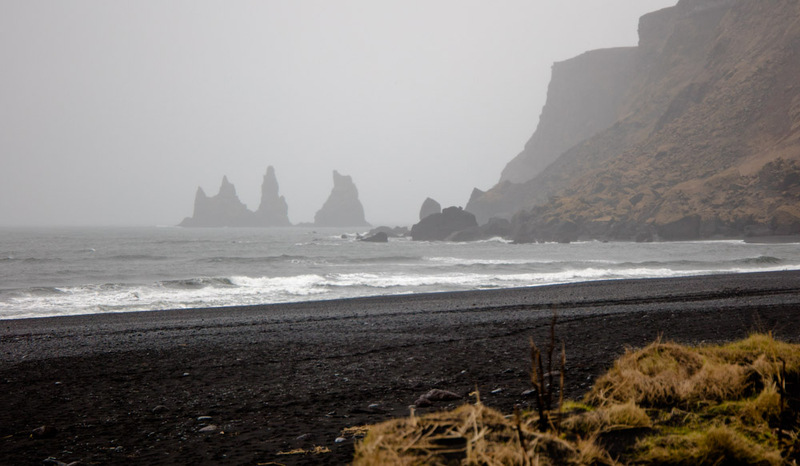 Vik, the rainiest place in Iceland is in the southern-most region. We had a short walk on the beach just before arriving at our hotel. 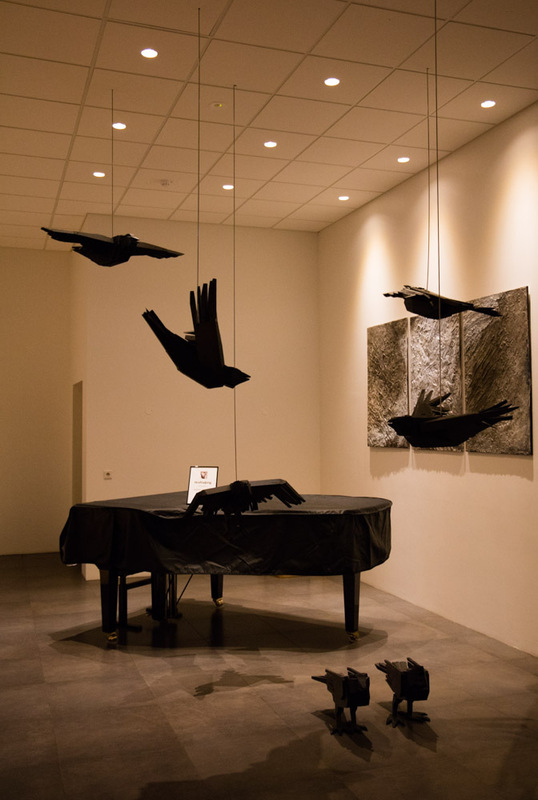 The hotel had an installation by Aðalheiður S. Eysteinsdóttir entitled ‘The Ravens’ Parliament’. 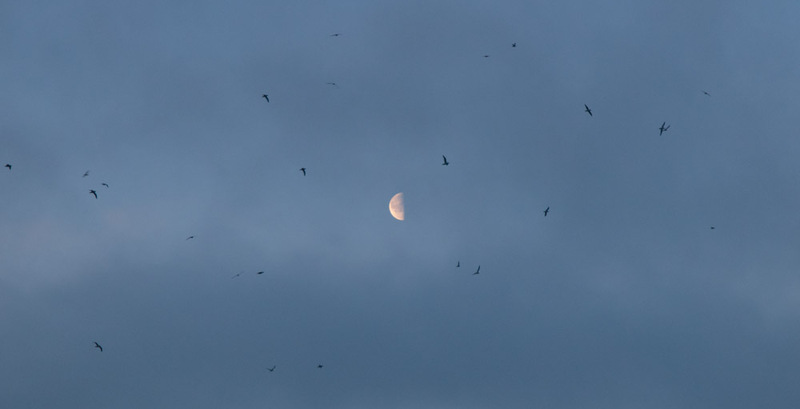 Certainly the cliffs and stacks here would be ideal raven nesting places and many birds were circling above us as we left before sunrise the next morning. We wandered on the beach, having been warned about rogue waves which can occur here. 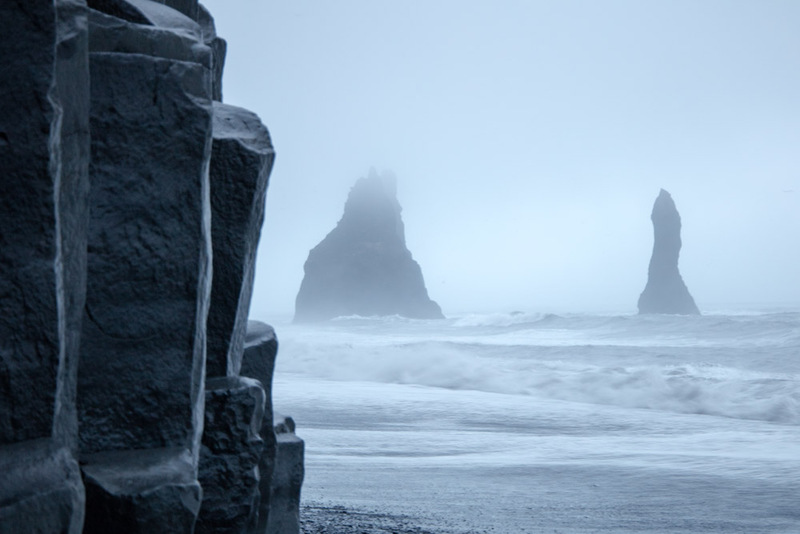 The basalt columns are reminiscent of those on the Giant’s Causeway in Northern Ireland. 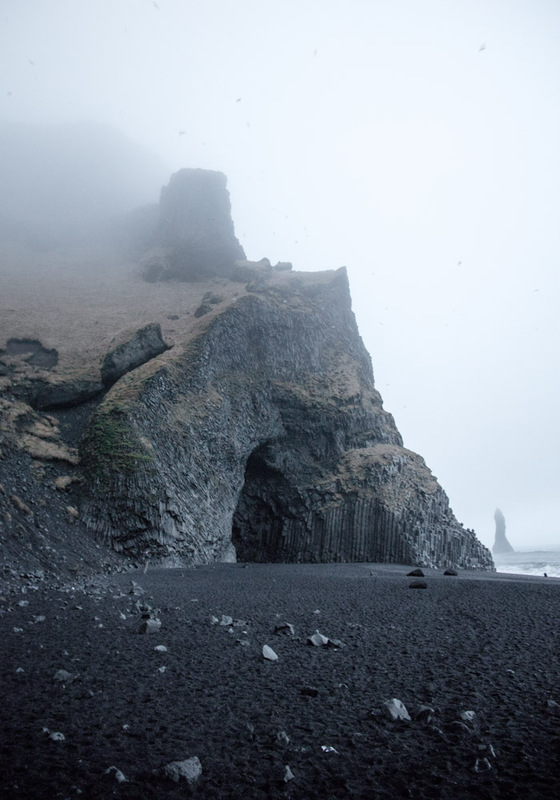 There is even a cavern: Halsanefshellir. We were on the lower slopes of the Katla volcano which has erupted every 100 years, the last in 1918. 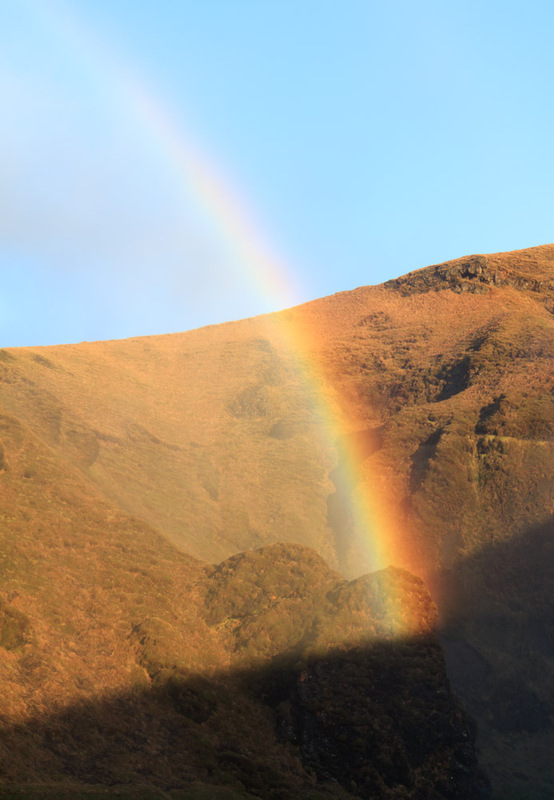 As we continued along the Ring Road, the sun rose and by the time we reached Skógafoss we even had a rainbow. 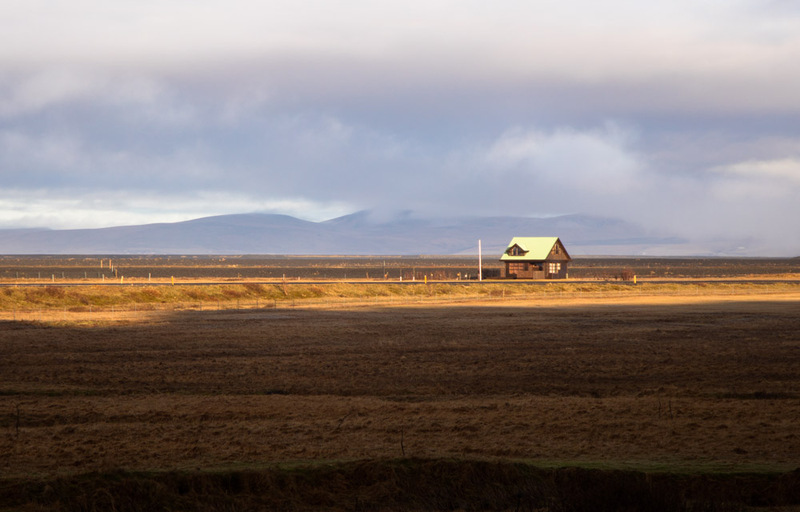 The farmland here is richer than elsewhere in Iceland. 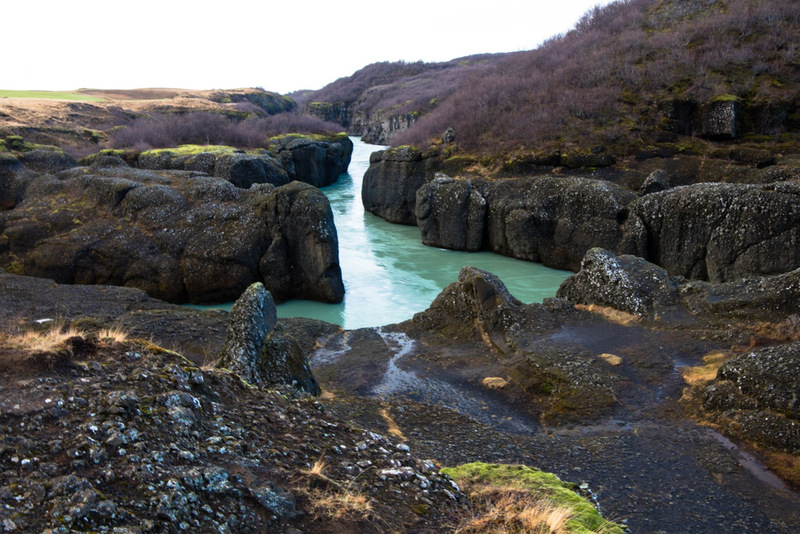 We continued past the rather small icecap on Eyjafjallajökull, the Sejalandsfoss waterfall and then inland to the largest lava field on the planet. 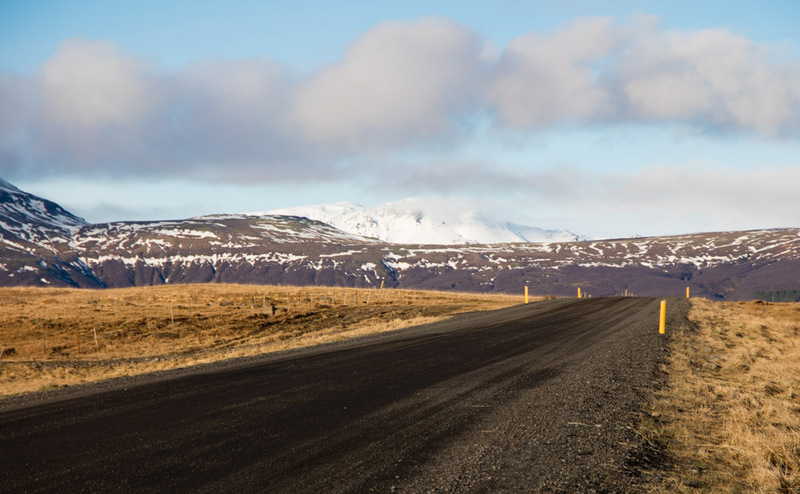 The snow-capped top of Hekla which last erupted in 2000 was visible. 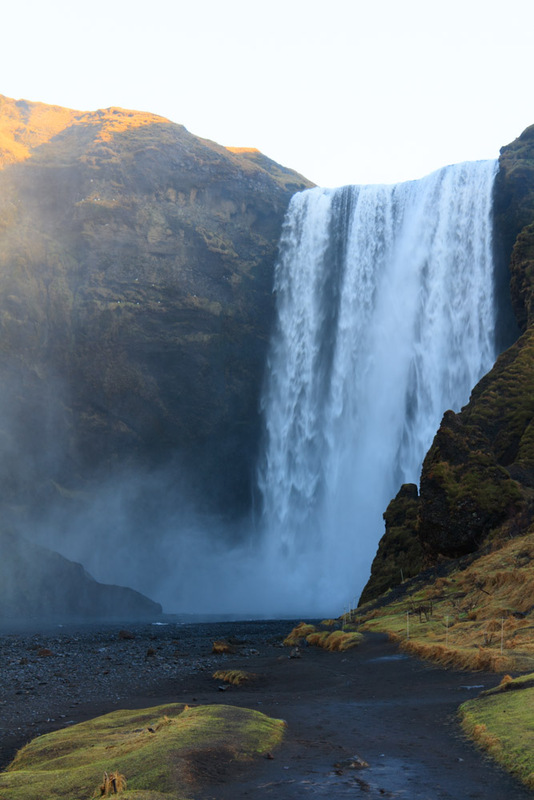 The Gossfull waterfall was pretty busy and in summer it would be best to visit it before 7am or after 11pm to avoid the crowds. 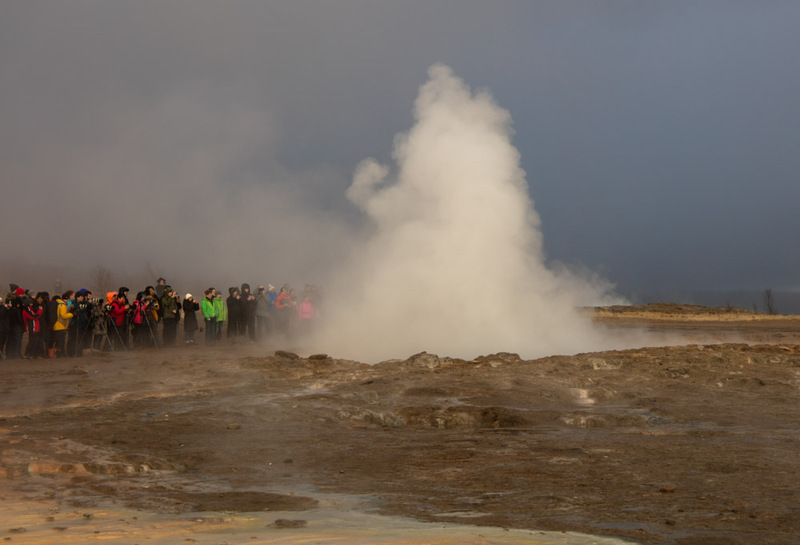 The crowds were also in evidence at Geysir as we were now in the Golden Triangle which is often all some visitors see.